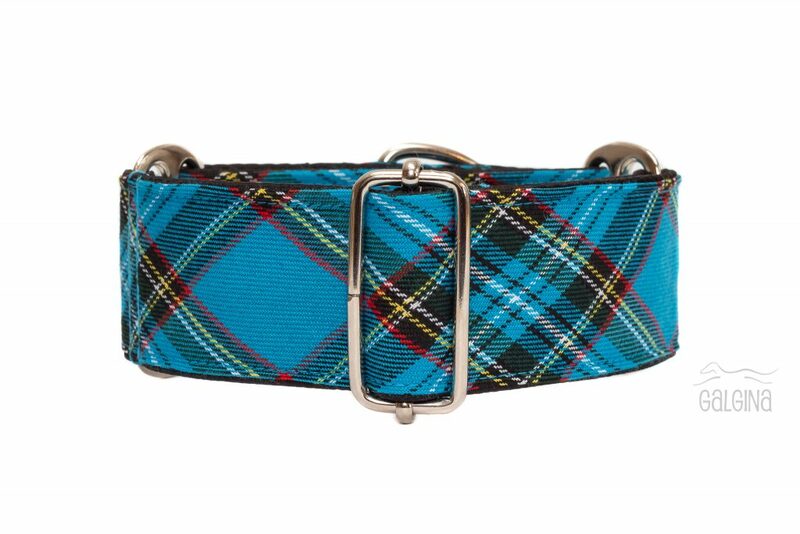 For decoration we use thin fabric, blend of polyester and viscose with a tartan pattern in blue, green, black, yellow and red colors. This fabric is very soft, pleasant hand and it’s surface has a bit fuzzy look. 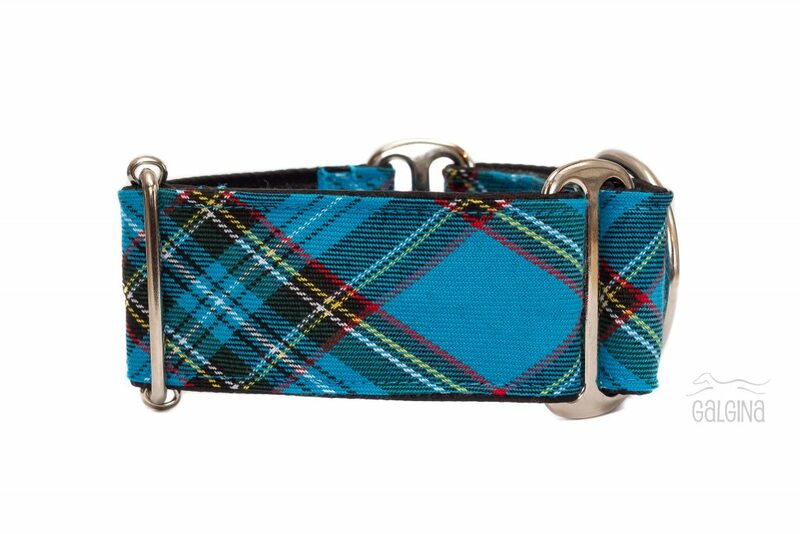 Collars made of this material are thinner and soft. They are suitable for moderate and even everyday use. Mostly because of rubbing and scratching individual threads may be pulled out or pilling may occur. Collars are lined with satin which is very smooth and has a very nice shine. 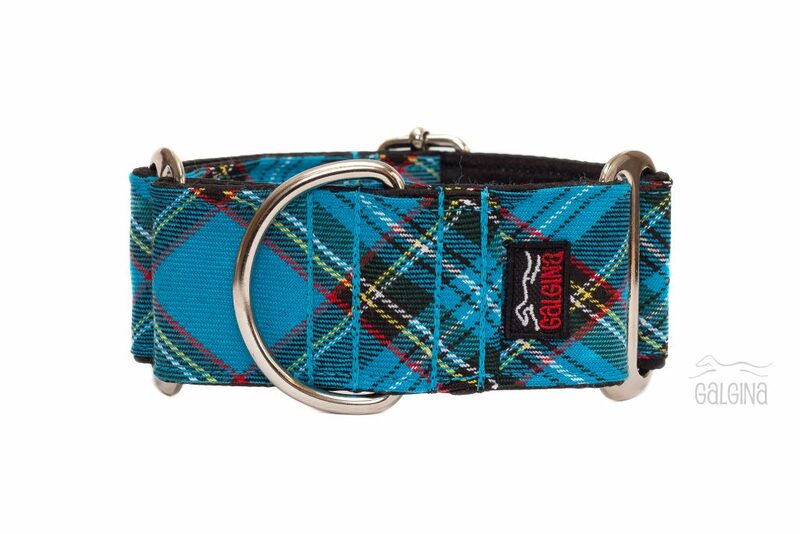 Lining protects dog necks against rubbing of nylon strap and its edges. With wear or washing some pilling may occur. To remove that you can use scissors or any other fabric-pill remover. 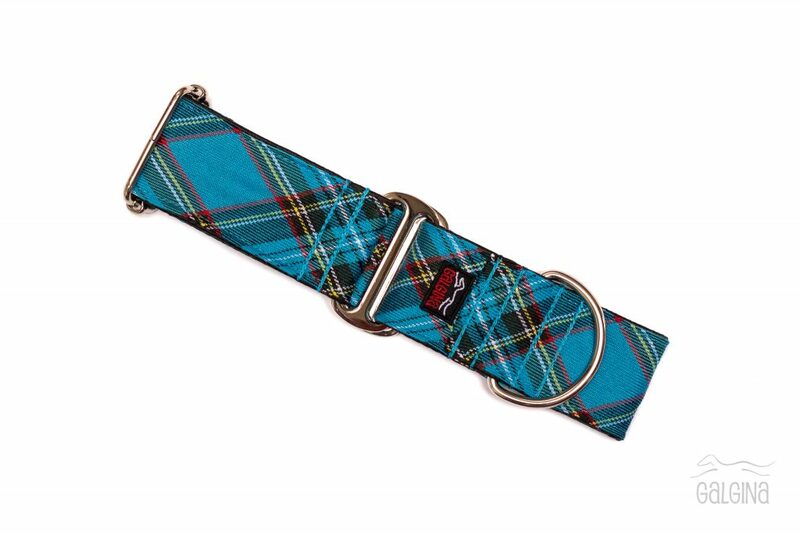 Fabric is shown on 5 cm wide martingale collar. For more general information about products, care, how to order, how to measure a dog and answers to other frequently asked questions please visit FAQ page.